True Life Center is providing a free, top notch, week-long Sports Camp from June 20th to June 24th 2011 to help disadvantaged children in our community with quality instruction and training in several different sports and a solid message of leadership while emphasizing their role within a larger team. We want to give them the best opportunity in life! Plans are in the works for a surprise visit from someone representing a major sports team to encourage the children! The camp is open to qualifying children grades 1through 5. Camp slots will be available to those who qualify based on financial need and scholarship availability. A child can be sponsored for $125 for the entire week. For information on applications or sponsoring a child please contact Youth@truelifecenter.com or call the True Life Center office at 813-788-LIFE (5433). Visit our website at truelifecenter.com. True Life Center Thanks Everyone For A Bountiful Harvest! A Bountiful Harvest! True Life Center would like to thank the community as a whole, and particularly the Lake Bernadette neighborhood, Publix, Save A Lot for their generosity in the Thankful Giving Food Drive at True Life Center’s Harvest Food Pantry. It was a huge success! 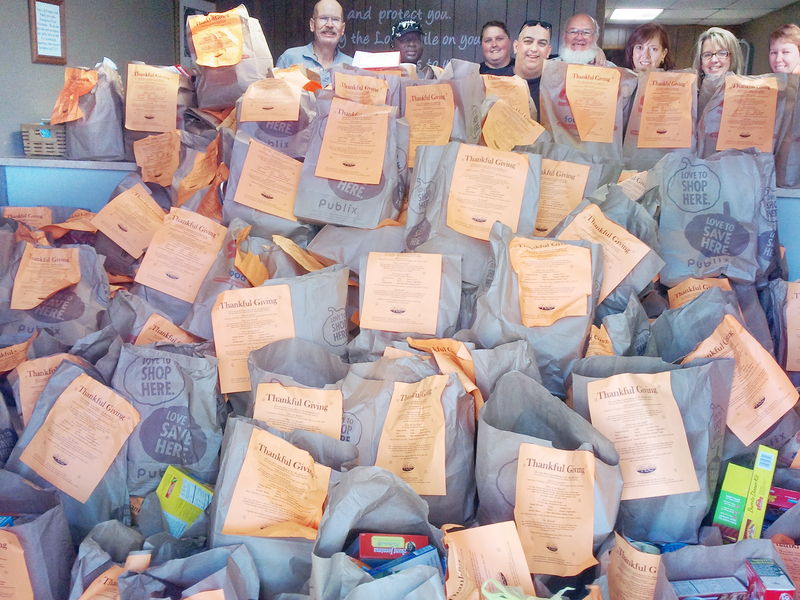 Thanks to you over 300 bags of groceries were donated! This translates into hundreds of lives being touched every week. Together we are making a difference! The Harvest Food Pantry is a community food pantry and open year round every Thursday from 9:00 am – 1:00 pm to help hurting families in the Wesley Chapel/Zephyrhills area. The Pantry doesn’t just help with food; they offer resources for job training, childcare, physical and mental health options, spiritual counsel as well as accountability. Everyone who comes to the Pantry will be encouraged to take the next step to improve their life. Pantry visitors have gotten jobs, made better financial choices, and even stopped using drugs. Thank you again for your partnership with us to change the world one life at a time! With God – All things are possible! If you didn’t have an opportunity to participate with the food drive and would like to, please contact us: True Life Center P.O. Box 3040, Zephyrhills, FL 33539 www.truelifecenter.com (813)-788-LIFE.